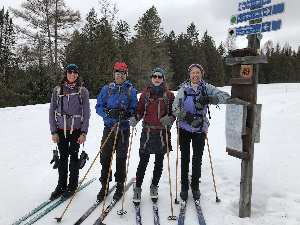 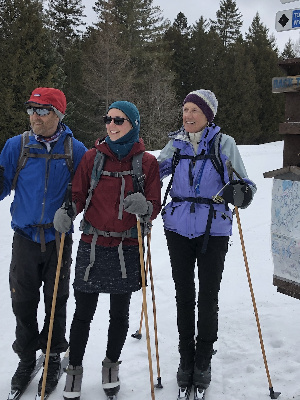 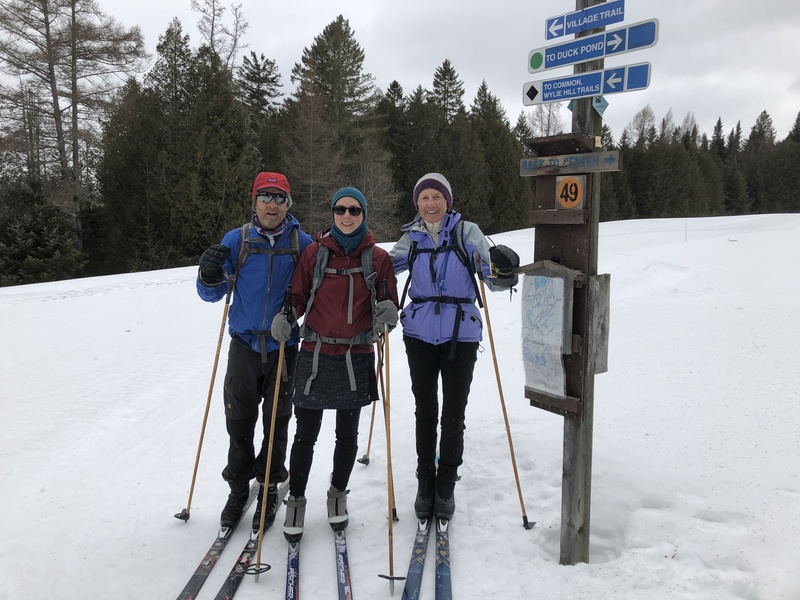 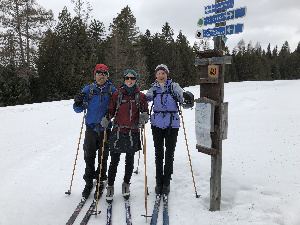 On Saturday, March 16, 6 of us skied about 12 miles from Highland Lodge in Greensboro to the Craftsbury Outdoor Center. Despite the rain on Thursday and Friday and temperatures above 50 degrees on Friday, the trails were in very good shape – mostly packed granular snow, which made the skiing fast! In any condition this is a challenging route with plenty of long ascents and descents winding through woods and farmland, as well as some more moderate terrain. 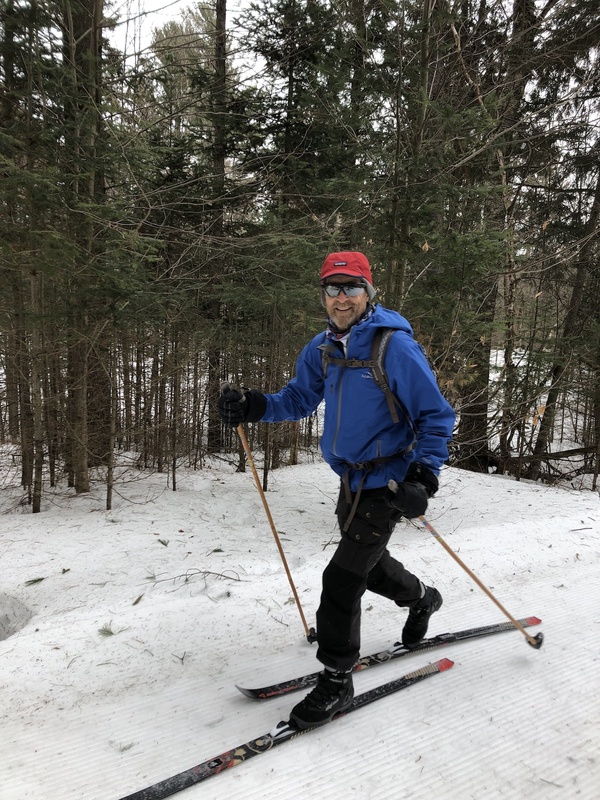 The temperature dropped from 32 to 30 degrees, but a stiff wind made it feel much cooler. 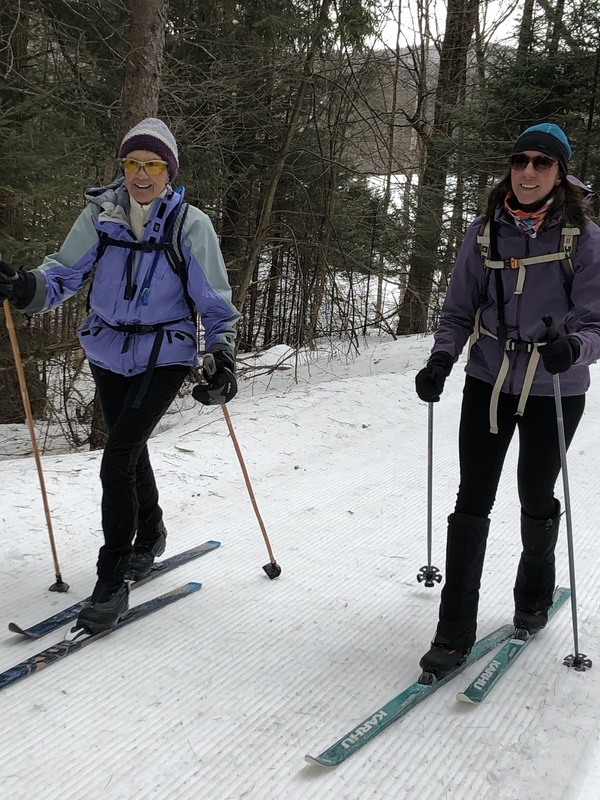 Some of the skiers saw what they thought was an “albino squirrel,” which was later determined to be an ermine or weasel in its winter coat. 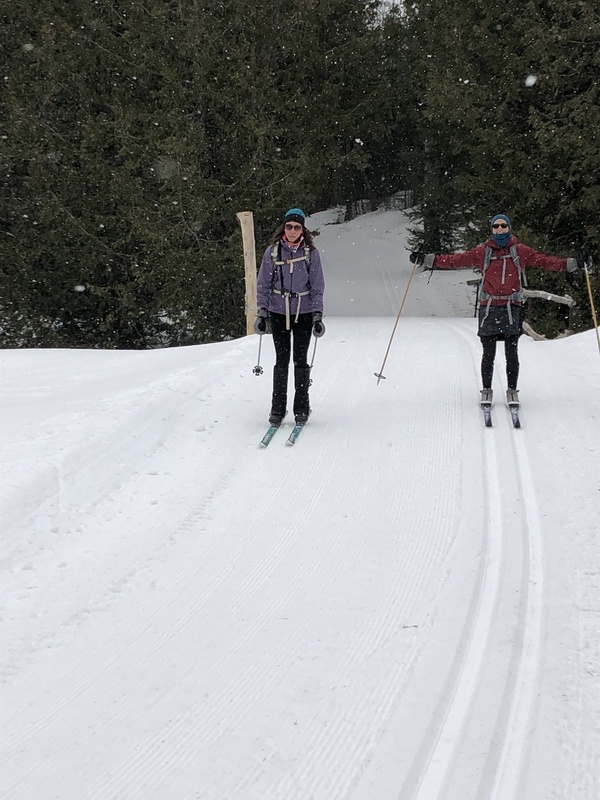 There is a lot of snow on the trails so we can look forward to some spring skiing!